Our recommendation for the best greenhouse kit for your garden is the Hello World Portable Mini Walk-in Greenhouse. When the gardening bug really sinks its teeth into your blood, you may be inspired to purchase a greenhouse kit to take your passion to the next level. You should be prepared to be met with a bevy of options that could overwhelm you if you’re not careful. We’ll show you a few of our favorites below! The basic purpose of a greenhouse is to extend the parameters and possibilities of a typical growing season. This includes things that may be somewhat obvious, such as giving you the capacity to grow certain plants and veggies year-round. But it also gives you the opportunity to try your hand at other cool gardening tricks, such as growing exotic plants. The right greenhouse can also provide dividends in different ways. Successful growing of greenhouse crops throughout the year can help cut down on your annual grocery bill, providing you with savings that could offset the cost of purchasing a kit. Plus, the social aspect that spins off greenhouse ownership is akin to the socially-driven communal elements found in other hobbies. The “why” behind getting a greenhouse kit is interesting and fun to explore. However, it’s also important to dig into the “how” that serves as the backbone of any greenhouse-driven environment. This science-fueled aspect will probably prove to be fascinating, too – especially if you have a serious green thumb. The basic principles behind a greenhouse has deep historic roots – ones that are said to trace back to the Roman Empire. As one may guess considering these origins, the essential scientific method in play isn’t too complicated. Essentially, greenhouses work by gathering light and converting it to heat. Additionally, a greenhouse will store and release thermal energy at a steady, proper rate. It is also quite effective in moderating temperatures, which is particularly handy if you want to grow plants that aren’t known to thrive in your neck of the woods. There are also practical benefits to greenhouse kit ownership. For one thing, its shield will help protect your plants and veggies from undesirable weather elements, such as wind, rain, and snow. It can also be quite effective in helping to keep various animals and pests from ravaging the fruits of your labor. Picking up a greenhouse kit isn’t simply a matter of buying a product and setting it up. There are a few metrics you need to consider before taking the proverbial plunge. First and foremost, you need to make sure you have sufficient space to place your greenhouse. Kits come in all shapes and sizes, from portable ones that may fit nicely in a patio to massive ones that will take up a healthy chunk of your backyard. Because of this, it’s important that you scrutinize the area that you’re planning to place the greenhouse and make sure it’s a proper fit. This not only includes no-brainer stuff like measuring space, but also things that can directly affect the plants, such as sun exposure. there’s more to owning a greenhouse kit than simply putting up a structure and letting nature do its course. There are a few minor maintenance-driven details that you must be mindful of throughout the year. 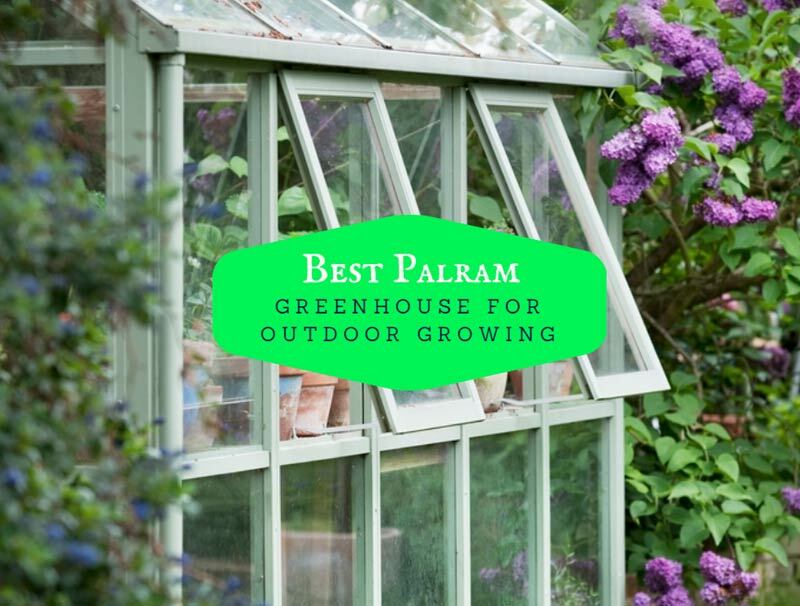 Some of the things you need to be mindful of are rooted in common sense, such as making sure the greenhouse has proper ventilation. Others aren’t quite as instinctual but are nonetheless essential, such as keeping a journal to keep track of plant or veggie performance. Buying a greenhouse kit can feel like it’s going to be an intimidating process, but it doesn’t have to be. This video is a handy guide that can help you understand the basics behind picking up a kit that will work ideally with your gardening plans. Are There Any Drawbacks to Buying a Greenhouse Kit? Owning a greenhouse is not necessarily a bed of roses. There are a couple of potential drawbacks you should be mindful of before you take the plunge. Firstly, it’s no secret that greenhouses can be pricey, especially big ones. While there is an ROI in play here, such an investment will take a few years to be realized. If you treat gardening as a fun hobby and not a serious passion, you may feel like you put yourself on the hook for something not worthwhile. Another huge disadvantage is related to something that can otherwise be considered a plus. While greenhouses will keep pests from infiltrating your plants, this also means that insects that pollinate will not have access to your plants. This means you’ll have to pinch-hit for these critters and pollinate manually, which could be tricky if not a nuisance. Greenhouses can be a substantial undertaking if you’re not used to working with them. That’s the main reason we recommend the Hello World Portable Mini Walk-in Greenhouse. Its small stature is ideal for those that are looking to make the transition from outdoor garden to greenhouse. A smaller unit like the Hello World Portable Mini Walk-in Greenhouse will allow you to “kick the tires” so you can make sure working within a greenhouse is right for you. Plus, smaller units like this tend to be much less expensive compared to full-blown units. And if you do find that greenhouse is ideal, you can always use a portable unit as a supplemental spot to grow even more crops. Regardless of what size greenhouse kit you end up purchasing, it’s important to remember that finding success within its translucent walls is a process that requires patience, practice, and common sense. If you stick to a plan that has these metrics in place, you’ll be met with some beautiful and potentially tasty rewards.